2016 seems to be a big year for Lexus. 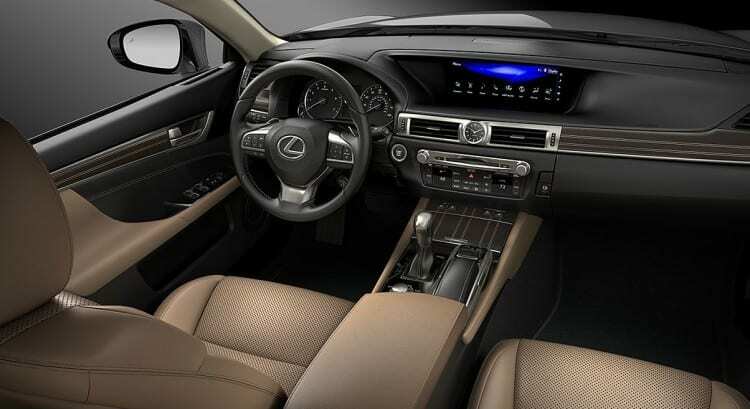 A lot of their cars have received major updates, including the biggest update of them all, that done to the Lexus RX. The GS hasn’t gone untouched either. A new turbocharged engine has been introduced and strangely enough it’s a four-cylinder. As with any update, there’s been a modest facelift in the form of new front and rear end, and inside the cabin, there’s standard navigation on the GS 350. The excellent Lexus Enform Service Connect system is now added throughout the entire lineup. Comparing the GS to other cars in the segment is tricky. The IS, for instance, is a direct competitor to the BMW 3-series and Mercedes’ C-class. The ES is more of a stand-alone car competing with the Hyundai Genesis and the likes. But the GS is in that weird spot where it has to battle it out with lots of different competitors. Amongst the usual array of Germans on offer, cars like the BMW 5-series, Audi A6 and Mercedes E-class, stuff from the ranks of Jaguar and Cadillac has also joined the party with the XF and CTS. And that makes the luxury sports sedan one of the toughest segments in the moment. Competition is fiercer than ever, and each competitor seems to be bringing in something different and unique to the table. Let’s just get this straight: the GS is nothing like the ES. It’s advertised as much sportier, and it’s a case where sportiness comes first and luxury second. But knowing Lexus, they’ve done a great job on both fronts. The GS proves to be an excellent all-rounder in the segment. Let’s start with the biggest update first, the new engine in the offer. A model called GS 200t has been added to the GS lineup and it carries a 2.0-liter four-cylinder engine good for 241 horsepower and 258 lb-ft of torque. It’s the same engine as the one found in the IS and the RC coupe, and although the GS is much larger, it has no trouble pulling the car along. Acceleration from 0 to 60 mph is done in 7 seconds flat while the max speed is advertised as 143 mph. It’s mated to an eight-speed standard automatic transmission and not the clumsy CVT which is a relief, and power naturally goes to the rear wheels. Because it’s a smaller engine, a lot of power would have been lost by offering it with a four-wheel drive not to mention the added weight, so the GS 200t is only offered as a two-wheel driven option. 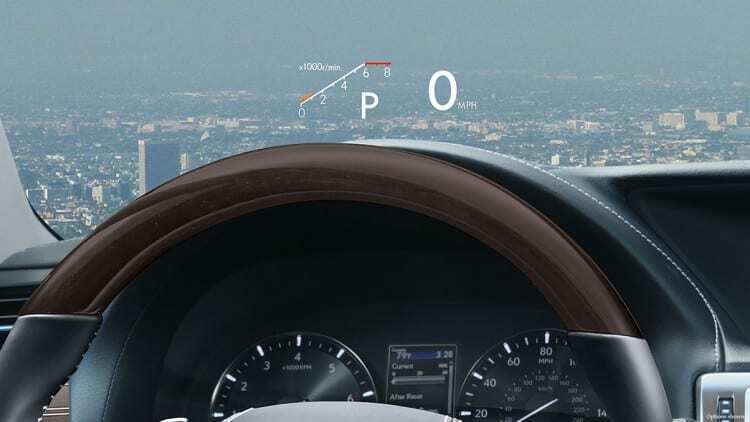 The GS 350 has had a small power bump, and the 3.5 liter V6 now develops 311 horsepower and 280 pound-feet of torque. It too is available as a rear-wheel-driven sedan with the eight-speed auto as standard, but if you go for the all-wheel-drive GS 350 you get the six-speed automatic transmission, which is still good on the economy despite losing two gears. With this setup, you can expect to see 0 to 60 mph sprint done in about 5.8 seconds while the max speed is more than 150 mph. Speaking of the economy, there’s now a stop-start system designed to save fuel on both the 200t and 350. 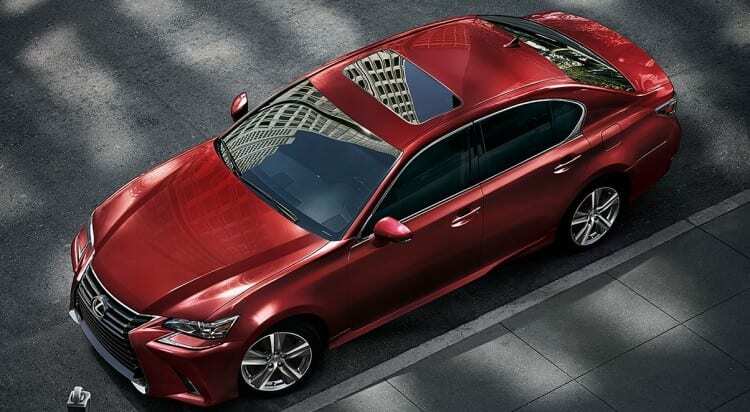 The bigger GS 350 with all-wheel drive gets 22 miles per gallon on the combined run while its two-wheel driven sibling adds 1 mpg more increasing it to 23. As you’d expect the 200t is the most economical with a 26 mpg return. The F sports trims of both versions lose on average about 1 mile per gallon which isn’t bad at all. Besides the two already mentioned models, there are also 450h hybrid and F models. In the case of the hybrid, we are getting 338 hp and 29/34 mpg city/highway which is a nice increase over the standard version. If you want more power and even sportier sedan than the F-type is the choice for you. Its 5.0 liter V8 powerplant will send 467 hp to wheels allowing it to reach 60 mph from a standstill in 4.4 seconds while reaching the maximum of 168 mph. This is a sporty sedan first and foremost, so handling and driver involvement are key here. The GS manages to be sporty and confidence inspiring without sacrificing what makes it best, ride comfort. Yes, it may lose in terms of dynamic capabilities to the likes of the E-class or the 5-series, but in terms of ride quality and refinement, it trumps them both. It’s typical Lexus really. A smooth ride and next to no wind or road noise is something to expect here. The base engines aren’t that pleasant sounding, especially the 4-cylinder, but they are relatively quiet. Haters of the four-cylinder in a large luxurious sedan will be impressed. The relatively small engine manages to pull the big chassis with ease. More power can, of course, be found in the naturally aspirated V6. Although that lump has been in production for more than 10 years, it still feels up-to-date and modern. When we add hybrid and V8 options to the list we can agree that GS completes the offer very successfully and gives almost every driver something to choose. Those in search for even better handling characteristics can opt for the F Sports package. It brings a rear-wheel steering system as well as variable gear ratio steering system. The F Sport also rides on bigger 19-inch wheels and has a harsher suspension, but it still isn’t enough to upset ride comfort. The F Sport is certainly nice, but not something mandatory to get a good handling vehicle from the GS. The interior is typical Lexus too. Materials are chosen from the best options, and there isn’t a single harsh material or surface within sight. Everything’s made from leather and there are beautiful wood and aluminum inserts found throughout the car’s cabin. The materials used certainly rival those of its German competitors, but the fit and finish go way beyond what even they offer. The front seats are comfortable and supportive, and you sit in the seat rather than on it since they will firmly hug you and keep you in position all the time. The F Sport gives the seats even more lateral support with adjustable side bolster, although the normal seat is perfectly fine too and offers ample settings for adjustability. The back has enough legroom and headroom for three adults, but a sporting luxury sedan like this is best with just two passengers in the back so that both can enjoy the ride of their life. The car is littered with safety equipment and systems such as ABS, traction control or even a rear-view camera are a child’s toy for the GS. 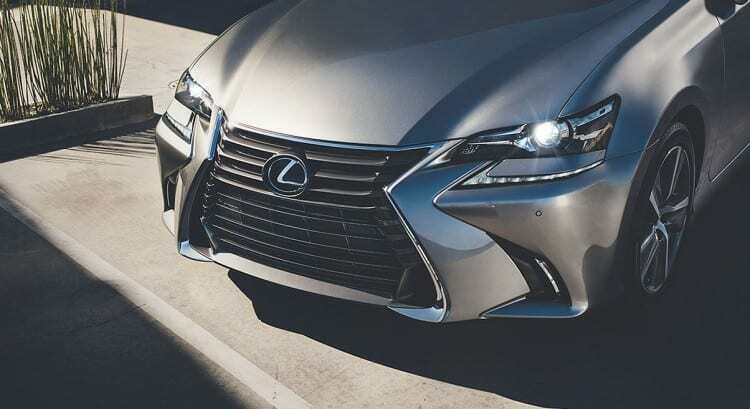 On top of those and all the usual assortment of gadgets and systems you expect to find, there’s Lexus’ Enform Safety Connect which can track your car if it’s stolen or notify the authorities that you’ve had a crash in the event that you do have one. Prices start from around $45,615 for the cheapest 200t model but expect them to go up by quite a bit if you go for the V6 with some extra gadgets. Most expensive is the most powerful F version and it comes with price tag of almost $85,000. Whatever model you go for, we guarantee you won’t be disappointed or left wishing you’d have bought one of the German offerings instead.